This cub will likely end up in the worst place. 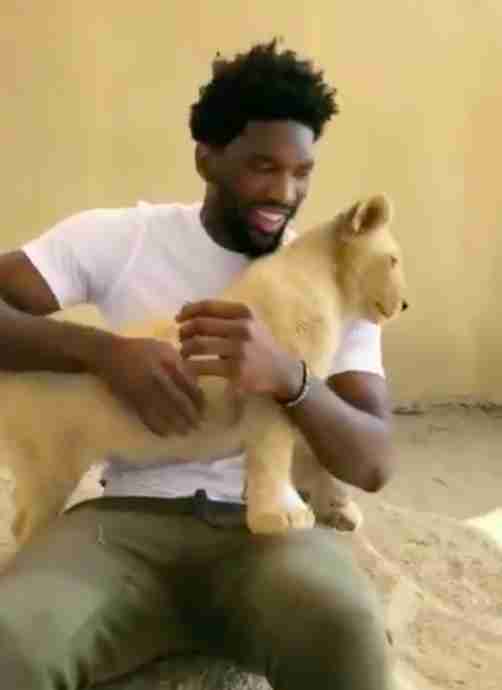 A video of basketball star Joel Embiid snuggling with a lion cub has gone viral — but what lies behind it is enough to break any animal lover’s heart. Embiid was visiting South Africa for the NBA’s Basketball Without Borders charity game this week, and on some downtime he decided to visit a facility that’s home to big cats like lions and cheetahs. What the Philadelphia 76er didn’t know is that, in South Africa, these tourist attractions are hiding something much more sinister. Canned hunting operations are very common in South Africa; for up to tens of thousands of dollars, a hunter can enter a large enclosure where a semi-tame lion is held and shoot him without the hassle of having to hunt him down. The lions are supplied by cub-petting facilities — when the cubs grow up they’re no longer useful to the tourist attractions, so they send them to be killed in canned hunts. It starts when the newborn cubs are torn away from their mothers at just a few days old. 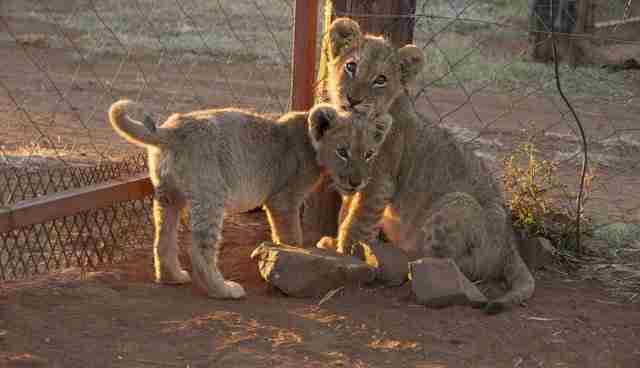 The mothers are bred over and over — only to have their cubs taken away again to later be killed. While the cubs are still young and easily controlled, they’re passed around to paying guests for photos. Their cute and cuddly appearance, however, doesn’t mean they’re harmless. During Embiid’s visit, the cub decided to bite down on the player’s arm. Unfortunately, as with other viral wild animal-celebrity encounters, Bass fears the video will make people think it’s OK to pay to handle wild animals, in turn supporting an industry that kills them. A true wildlife sanctuary or refuge would never allow guests to have direct contact with the animals, and would never allow the animals to breed. While it’s unclear which exact facility Embiid visited, Bass hopes he might feel inclined to research canned hunting and address the issue with his fanbase. “I think he could really be making a huge impact if he spoke up about what’s really happening there,” Bass said. 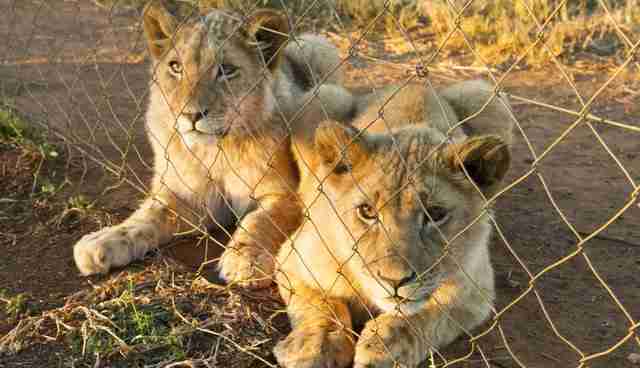 To help rescued lions living in South Africa, you can make a donation to Emoya Big Cat Sanctuary.